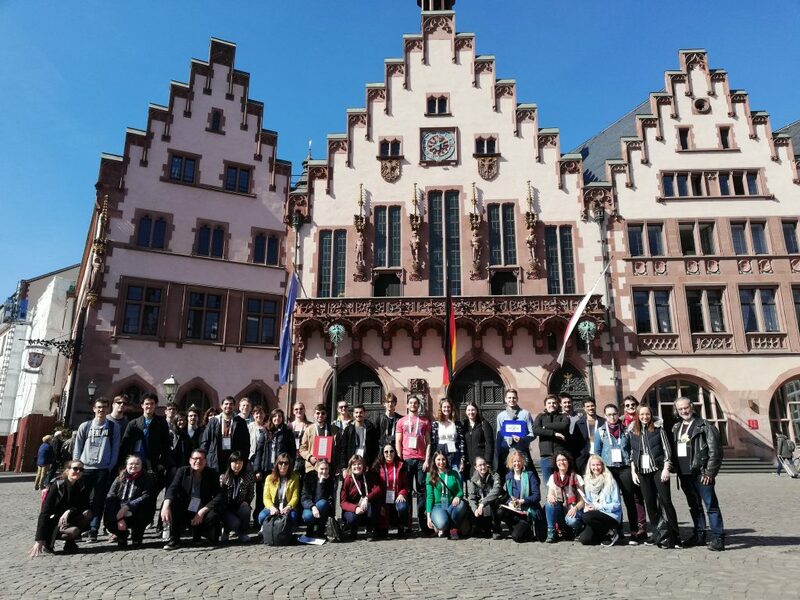 Within the Erasmus+ project „Mobile Math Trails in Europe“, 30 European university students met in Frankfurt for the two last weeks of March 2019. Their goal: Learn about math trails and MathCityMap, create own math trails, test them with students, and of course – make intercultural and international contacts. The Intensive Study Programme took place at Goethe University Frankfurt from 18th till 30th March 2019. 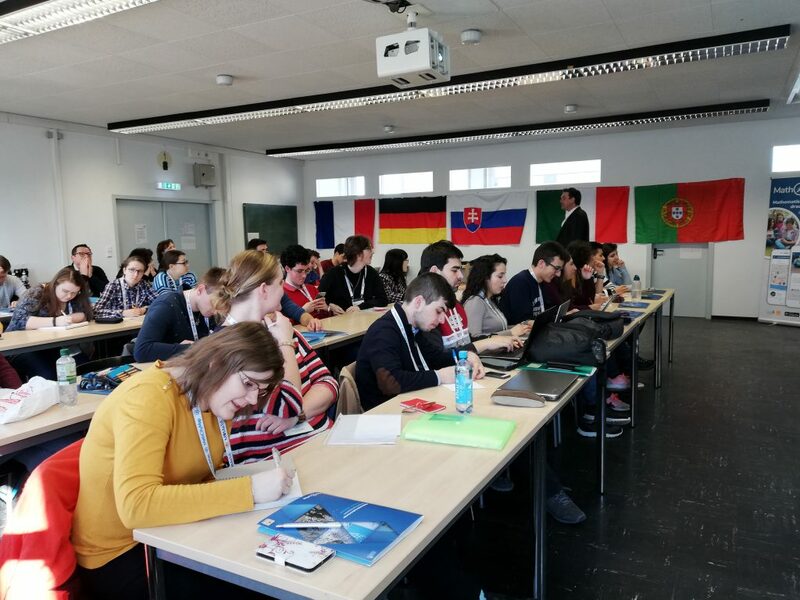 The participating students came from Nitra (Slovakia), Lyon (France), Porto (Portugal), Lisbon (Portugal) and Frankfurt (Germany). During the first days, the students received a lot of input from our project partners and invited experts in the field of outdoor education. The students heard different lectures on task design and outdoor research, ran a traditional math trail without technical equipment and a MathCityMap math trail around Campus Bockenheim. With nice weather, the students were very motivated in solving as many tasks as possible. After a change of perspective, the students became task creators on their own. In international groups they worked on tasks for school students on different levels. 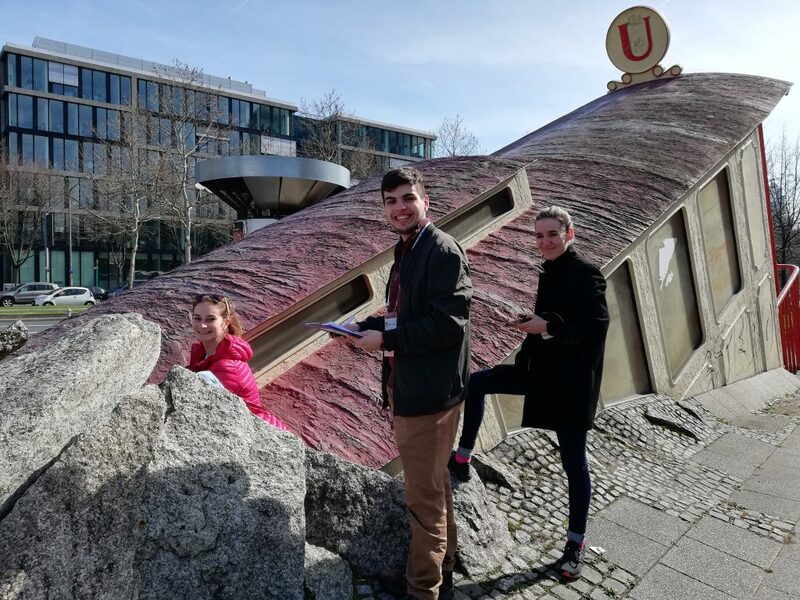 Firstly, they searched for tasks in Frankfurt’s New Old Town, conducted a peer review and feedback round and finally created a tested math trail. During the next week, school students arrived on two different days to run the math trails. Even though the tasks were of course in English, the school students had a lot of fun and success in solving the MCM tasks. 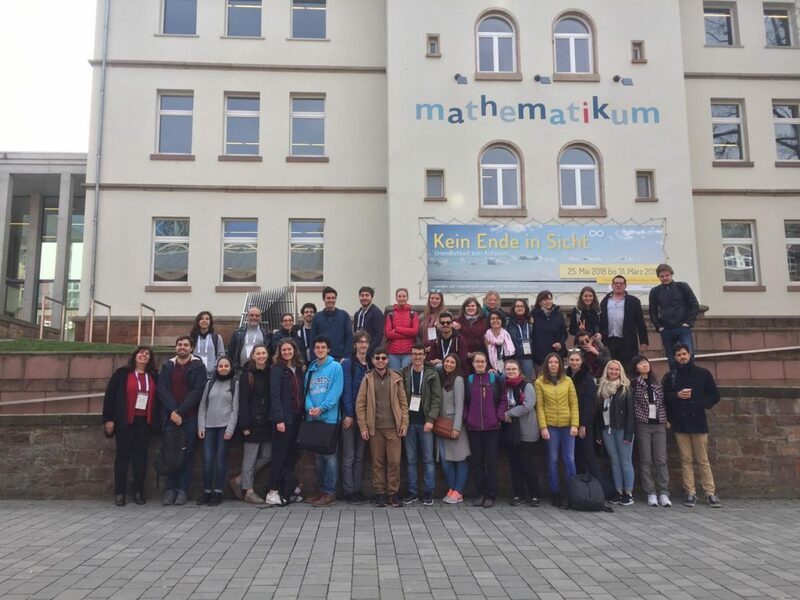 Special highlights within the Intensive Study Programme were the excursion to the Mathematikum in Gießen with a lecture by Albrecht Beutelspacher, the visits of German math classes and the final math trail competition during the closing ceremony with awards and certificates. After the intense time we can conclude: The two weeks were a big success for the students and also for the whole MoMaTrE and MathCityMap project. Thank you to all participants and their contributions. We are looking forward to many new tasks designed by the students!